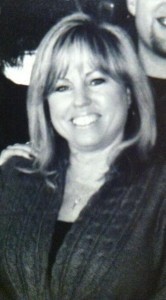 My name is Gayle Coleman Kirkhuff I am in my mid 50’s now, I live in Southern California. Married for 29 years and counting and 3 beautiful grown up children. I’ve had a passion for oil painting most of my adult life. My mother was a artist, I guess that’s where I got my talent and desire for art. I have only been able to begin following my passion for about 7 years. In highschool and college years taking art classes then continuing my education in private professional classes with different Art Masters. Local southern California artist Kim Frassett, she gave me a real foundation. Art Master Program classes with Daniel Edmondson specializing in still life and landscape. A course with well known East coast artist Gayle Levee, Patrick Whelan of Laguna Beach, CA. teaching the art of painting fabric. Andrea Mosley, receiving her Masters degree from Angel Art Academy in Florence Italy, specializing in portraiture and still life. just recently receiving my certificate in the “Self Aware Artist” with artist Michaell Magrutsche learning the essence of our own voice in the art world. I will continue to evolve as an artist on my own discovery and continue to take classes in new technique’s. Taking classes from different teachers you find the many diverse styles, tips, mediums they like to use. Now, taking in all the information I have learned while trying out other mediums and styles. I enjoy painting subjects that I am inspired by. I have a new vision of where my art may take me. I will continue to post more paintings as they are finished. Thank you for stopping by my page, I hope you have enjoyed it, please sign in and let me know how you felt about my art.